What if every young child in Virginia had the education foundation he or she needs for success in school and life? This goal is at the core of the new early childhood education initiative and partnership between the Obici Healthcare Foundation and the University of Virginia for young children in Western Tidewater. After observing the state’s investment in early childhood initiatives, the Obici Healthcare Foundation made the decision to contribute $1M to boost initiative engagement in Western Tidewater. This funding is a movement toward the importance of early learning opportunities as a long-term health investment. CEO Annette Beuchler states, “Improving the level of early childhood education is the primary path for improving overall academic achievement and ultimately better health status. The investment paves the way for Western Tidewater to become a model case study for the impact of high quality early childhood educational experiences in a wide-range of preschool settings. The funding dollars will extend the STREAMin3 (Science Technology Reading Engineering Arts & Math – Integrated Intentional Interactions) curriculum pilot to 50 state or federally funded classrooms from Suffolk, Franklin, Surry, Southampton and Isle of Wight Counties. 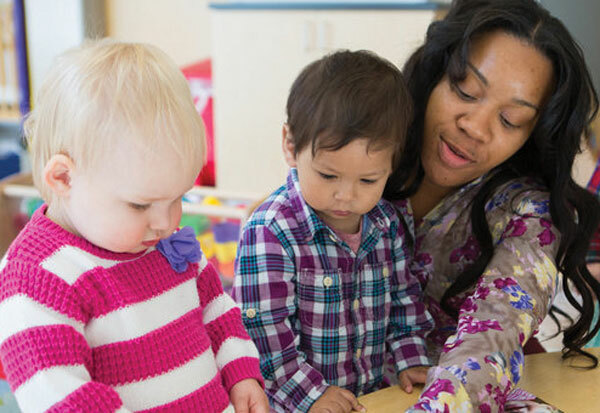 The grant will additionally support the pilot preschool extension of VKRP (Virginia Kindergarten Readiness Program) and CLASS (Classroom Assessment Scoring System) observations/professional development in Head Start, faith-based and private programs. View the video from the 2018 Symposium, “Assignment Impact!” Creating a Foundation for Success. View Annette Beuchler, President and CEO of the Obici Healthcare Foundation discuss the Foundation’s new strategies. View Robert Pianta, PhD, Dean of the UVA Curry School of Education, make the connection between health and early childhood education.